Sewage is generally a mixture of toilet wastes, kitchen wastes and also another waste produced, known as grey wastes - including washing, bath and washing machine wastes. 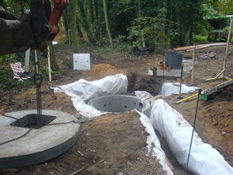 If you're considering of replacing your current sewage system, whether it be due to drainage problems occurring frequently, or if you want to utilise newer technology in order to create a better system for your property, a sewage treatment plant can often be the solution for many drainage problems when you aren't connected to the main sewer. 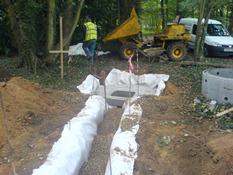 MJ Services will assess your individual drainage site and advise you on the best solution for your system - there are a number of factors to be taken into account before then deciding on one system. 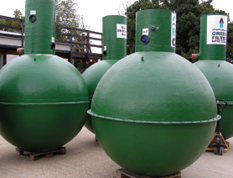 As independent installers, MJ Services can offer a wide range of sewage treatment plants. A sewage treatment plant is a system that utilises natural biological aerobic action in order to treat waste and sewage to a very high-quality and clean level. A septic tank is a holding chamber that is used in order to separate the solids from sewage and produces an untreated effluent. Each manufacturer uses a variety of alternative means in order to operate their individual treatment systems. MJ Services will be more than happy to advise you on a range of different systems that we can install, and also discuss how they operate. A treatment plant that is functioning correctly is being maintained well should produce an odour free bacteria. Although, there may be the odd occasion when some odour may be detected, but if you were to compare this to the smell of a septic tank system, these odours are often likely to be weak. Most of the drainage and sewage systems that MJ Services investigate have smell problems. This is mainly due to a lack of correct maintenance and consistent de-sludging. 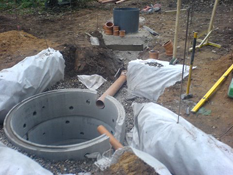 Mostly all of the treatment plants that we install require some form of de-sludging process. The quality of effluent that is produced from a treatment plant installed by MJ Services is generally much cleaner than that which is produced by a septic tank. 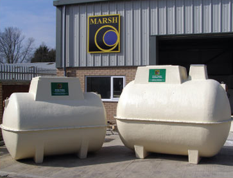 Septic tanks utilise a basic drainage system and if there is a good quality of sub soil permeability then these tanks are usually a better choice due to its simplicity. If your sub soil is mostly porous near the surface and less with depth, it may be possible for us to install an effluent pump on the outlet of the treatment plant itself, which will then allow the effluent (treated) to be produced at a higher level into the more porous sub soil. At MJ Services we will be happy to undertake the maintenance and repair of any sewage treatment plant or system that we have installed. Most sewage treatment plants that we install require a service and inspection at least once a year. We will happily advise you in our initial discussions about servicing as to what type of maintenance is usually involved, and the average costs of the servicing that will be undertaken. Contact us if you have any queries regarding your current sewage treatment system, or whether you are considering replacing your existing system with a new one.